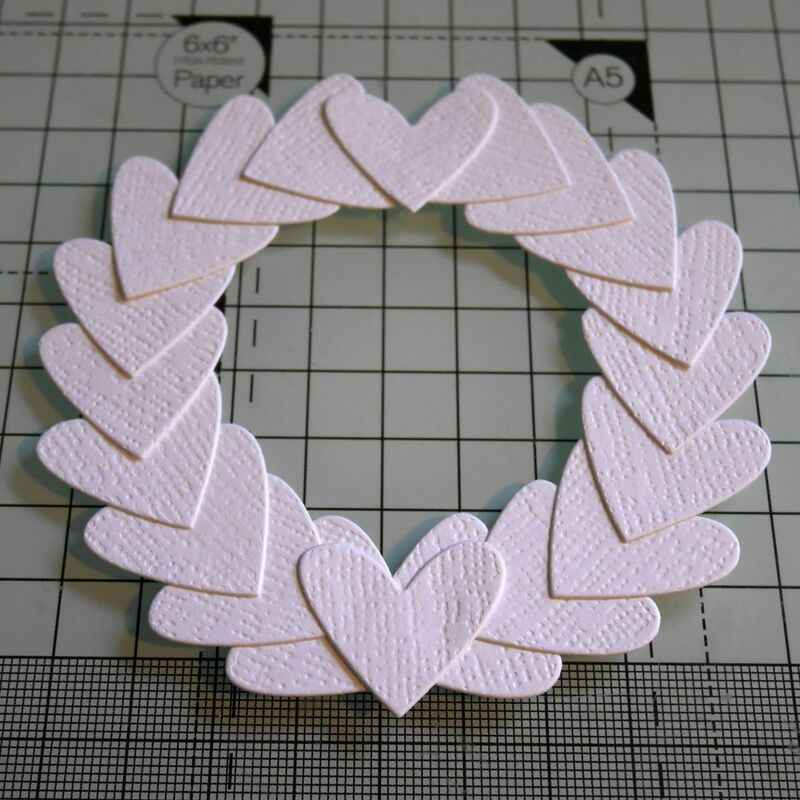 I started off by die cutting lots of white hearts from the white hemp card. I arranged these on a white circle frame. There was no particular method to this, I just played around until I got a pattern that I liked the look of. The purpose of the circle frame is to act as a guide and as a support for adhering the hearts to. You start by adhering them to this frame, but as you work on building it up they overlap and are glued to the frame and to one another then also. But the frame is a good support piece and a very good guide to get a good shape! 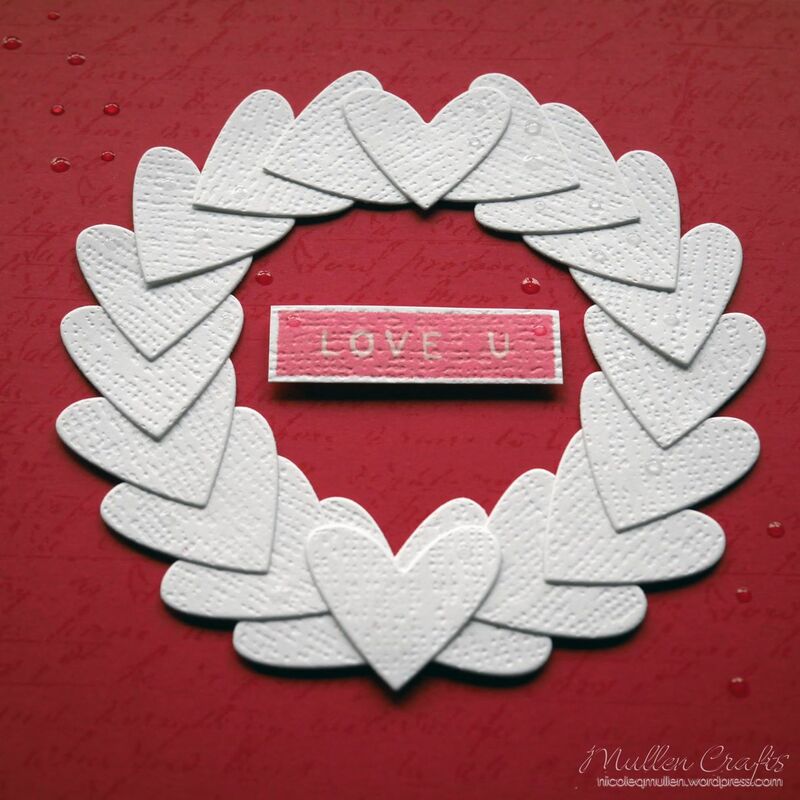 Once I had the wreath made I cut a panel of the plain red card. 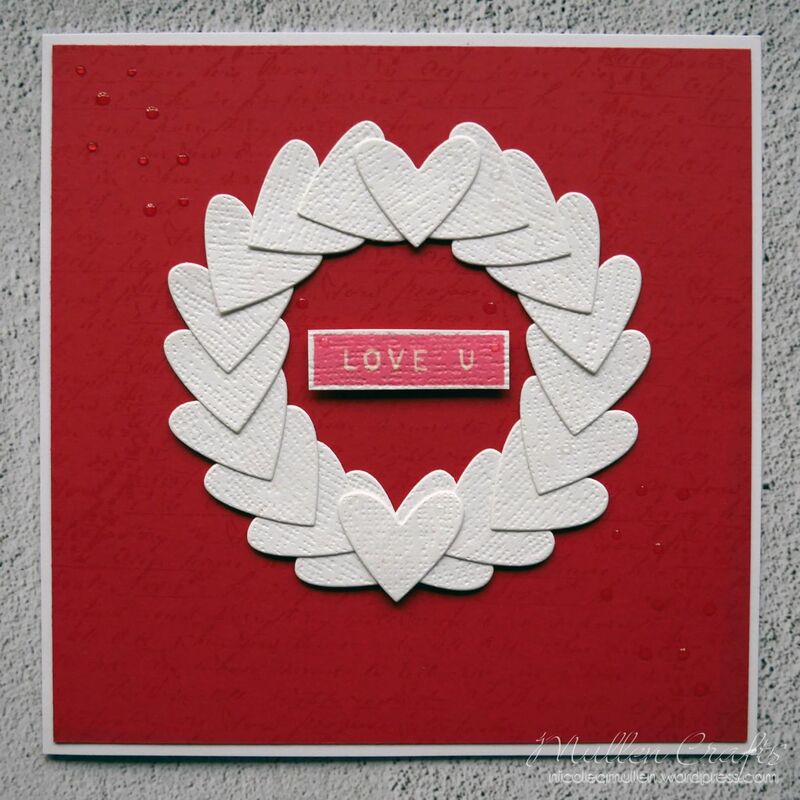 I stamped on this with a script stamp in Bard Door Distress Ink. This gives a very tone on tone effect. It is more visible in person. 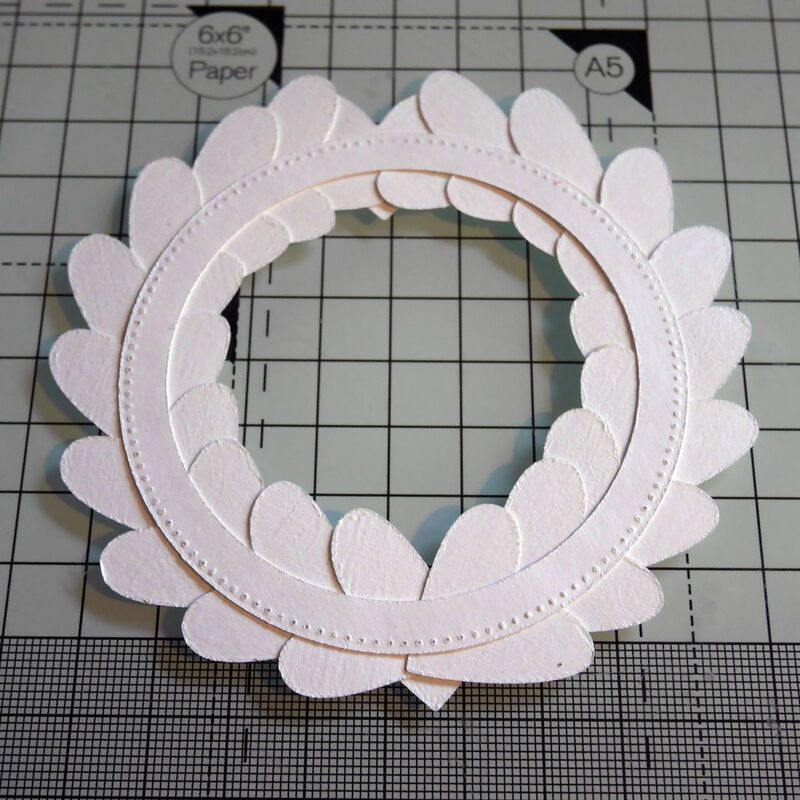 It is subtle, but gives enough texture and pattern to stop the card looking too plain. I then adhered the wreath down, with a sentiment in the centre. I used a pinkish red ink for this to provide more contrast against the red card. 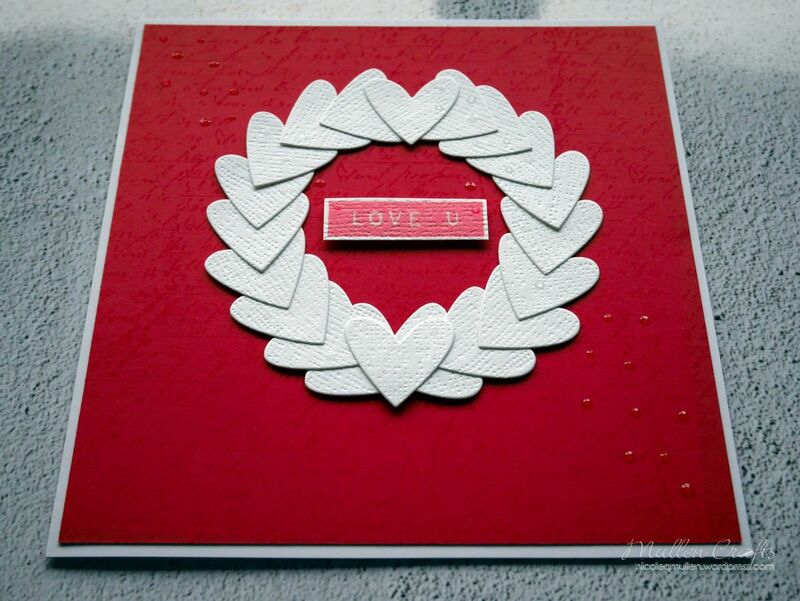 I used a translucent pearl pen to add a scattering of 'pearls' across the card. I am really loving clean and simple cards at the moment and love the texture that this wreath gives along with the translucent pearls. It is simple but elegant!